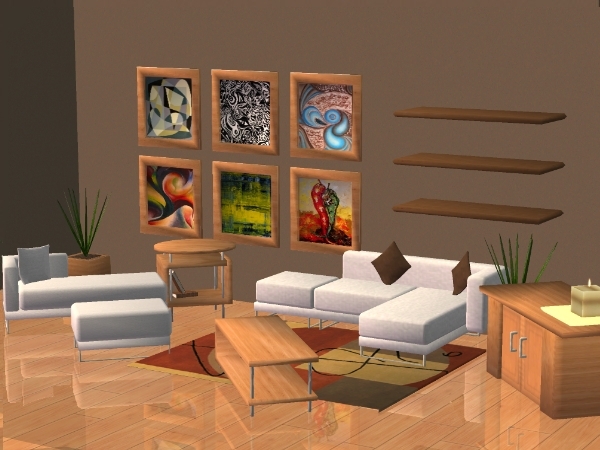 Modern Living Set including 11 New Meshes + a rug recolor. All low poly count, except the plant which is medium at about 2600. Sofa mesh has two useable tiles. Footprint cannot be fixed.